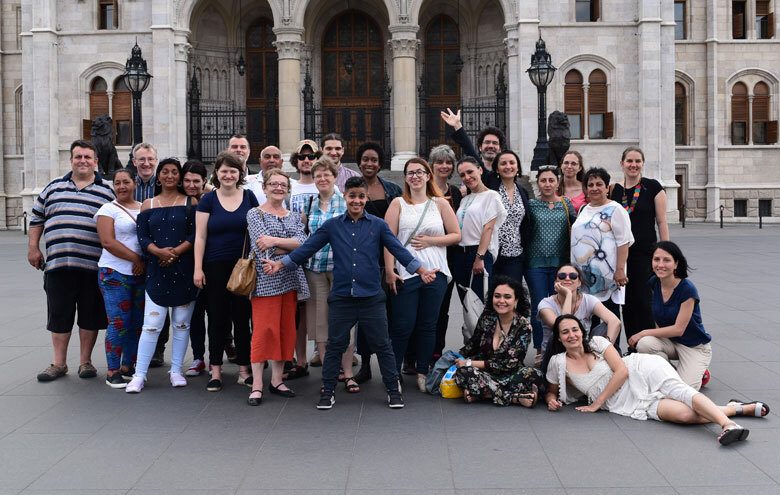 This Workshop brought together 31 people from different groups in Bulgaria, Hungary, Romania, and Serbia as well as members of ATD Fourth World from Belgium, France, Poland and the United Kingdom. The participants were from different walks of life. Some work in a group or an organization. Some are isolated and others are involved in their community and neighbourhood. They all have in mind the difficulties that people experiencing poverty are facing on a daily basis, as well as their strengths and their capacities. Each participant tries to reach out to those who do not have an opportunity to contribute to society. 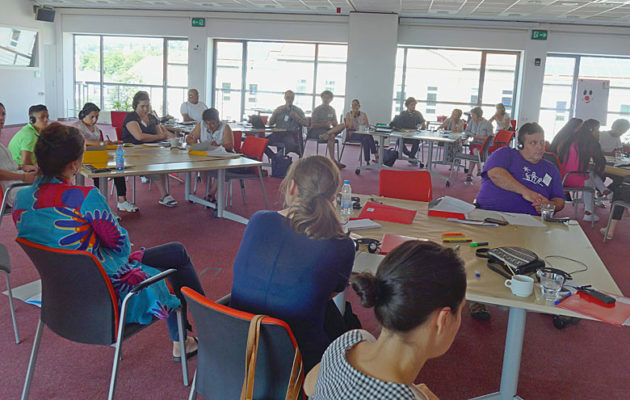 – Strategies that participants had tried in order to give people access to their rights and to develop a more inclusive society. It is important to understand the obstacles that prevent children from going to school and also from learning when they are at school. One conclusion on this topic is that building a strong sense of community and a sense of living together is an essential step. Without it, nothing can begin. Next, other people in society need to know the problems of those who don’t have access to decent housing. Other members of civil society can support the efforts and the needs of those facing these situations as government and local authorities have their own responsibilities to respect. Another very important conclusion is that we need to develop both a long-term strategy and a complementary short-term strategy so that people can have the opportunity to get out of their immediate difficult situation. Alina showed us how to make human pyramids to demonstrate how circus activities can help people learn to trust each other. Workshop organizers felt how much the participants wanted another similar workshop. Evaluations from attendees showed that this type of workshop strengthens participants and makes it possible for them to improve their daily activities.